Under current .UA domain Policy, .UA domain names are delegated to the owners of similar Trademark. 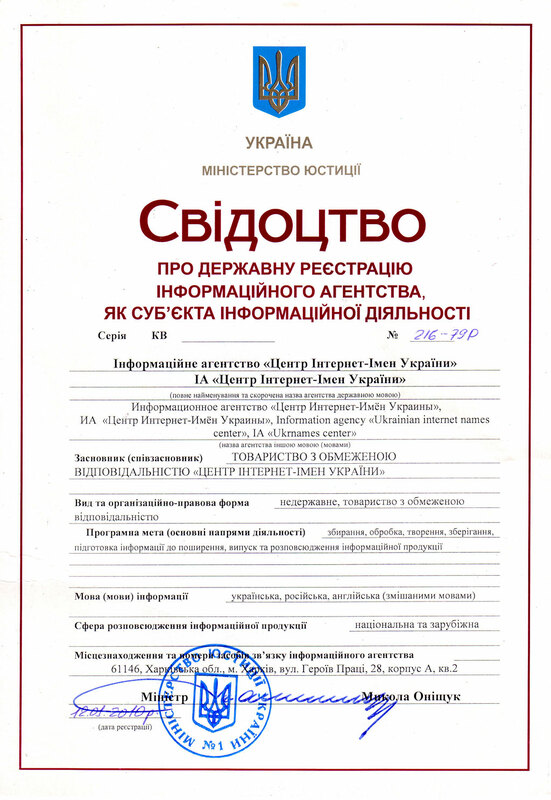 The mentioned Trademark can be ordered from our partner - Patent bureau «Adamenko & Partners» . Oder a Trademark from «Adamenko & Partners» and get 5 percent discount on their services.The offer is valid if you are a client of Center of Ukrainian Internet Names. Patent bureau "Adamenko & Partners" provides legal services in the field of intellectual property. oleksandr@adamenko.com.ua - Adamenko Alexander G.